Hamas confirms that it had dispatched a drone to fly over Israel earlier Monday - and claims that it has more waiting. 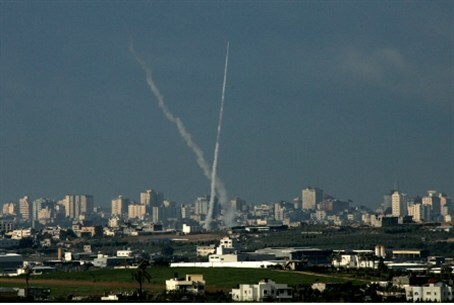 Hamas on Monday confirmed that it had sent out a drone over Israel earlier in the day. A Hamas spokesperson said that the Izz-a-Din al-Qassam wing of the terror group had dispatched the drone, and that the terror group had more of them. The Unmanned Aerial Vehicle (UAV), apparently laden with explosives, was shot down by the IDF near the port city of Ashdod Monday morning. A Patriot missile was dispatched to take the drone down at about 6:30 AM, with debris from the drone falling on an Ashdod beach. The IDF is examining what remains of the drone, a spokesperson said. Hamas claimed on its website Monday that the drone was completely home-grown, engineered and constructed by Hamas terrorists. According to the site, Hamas is capable of producing three kinds of drones. A Hamas spokesperson said that the drone that was shot down had actually done two other flyovers of Israel earlier Monday night. A second drone had also been dispatched, but the organization lost contact with it. Earlier Tuesday morning, the IDF declared the Ashkelon coast a closed military zone, when it received intelligence that the Hamas drone was on its way to Israel. The Air Force conducted a rehearsal in April for an event in which an enemy UAV infiltrates Israeli airspace. Both jet fighter and combat helicopter squadrons took part in the rehearsal, and practiced interception of a UAV near Israel's border, reported the Air Force website.